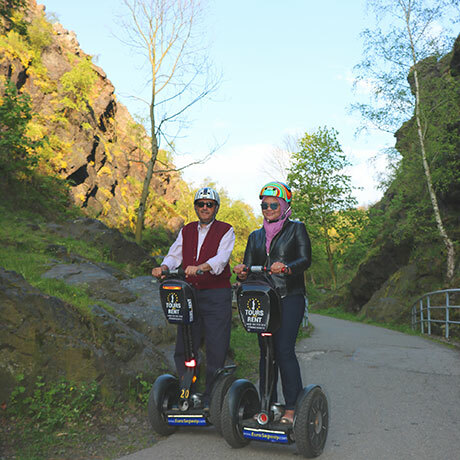 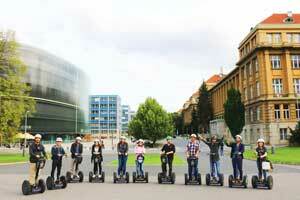 If you visit Prague for the first time then our combined tour on Segway and Hugo E-scooter is the best opportunity to see the whole city within 3 hours! 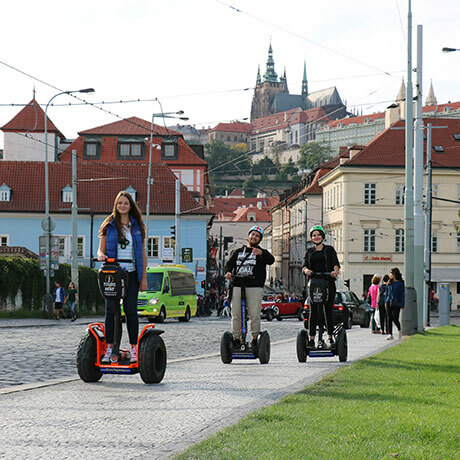 Even though the city authorities has banned Segway in the Old Town of Prague, nowadays our tourists have an opportunity to drive on Hugo E-scooter and discover the charms of the old city on it. 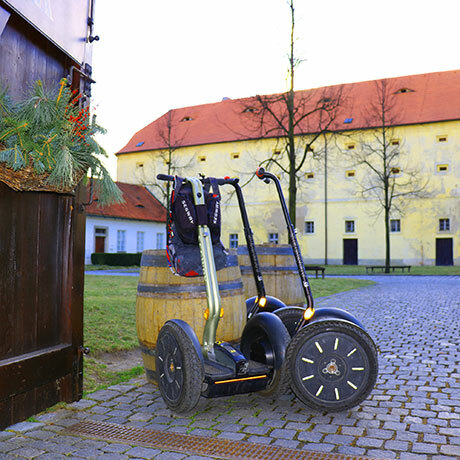 After 90 minutes of driving on e-scooters Hugo, swap to the Segway in the middle point and drive in the area of Prague Castle to cover the administration center of the city. 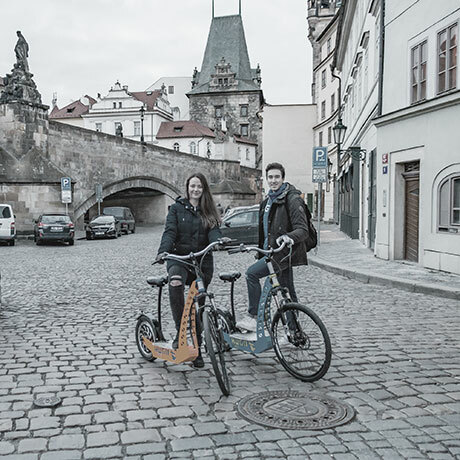 This tour is for those, who want to get deep into the culture of Czech people, while discovering both historical and local areas of the city. 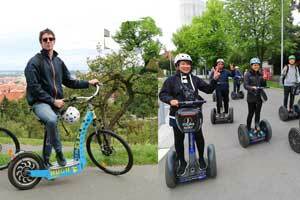 During the tour get deep into the main areas of the city, which are Old Town, Lesser Town, and Prague Castle. 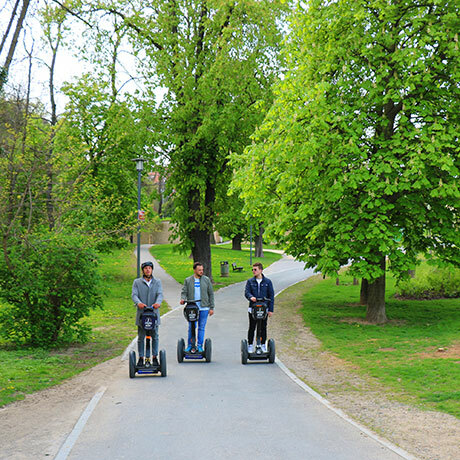 Drive in the beautiful parks with the breathtaking view over the whole city, monastery with the 400 years old brewery inside, post-war area with the monuments from the communistic era and number of old and marvelous villas and family houses. 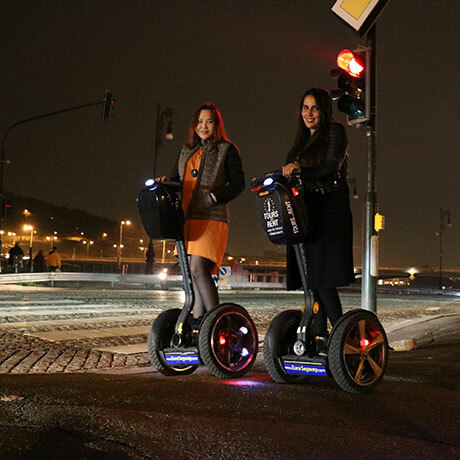 Foi a primeira vez que andei de segway e adorei. 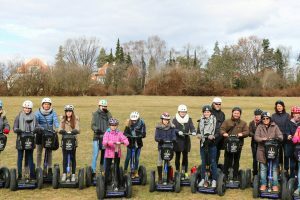 Fizemos um passeio de uma hora, mas quando terminei queria mais rsrsrs. 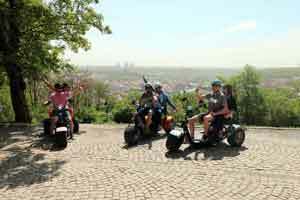 Para as pessoas que falam o português recomendo o guia Eugênio, além de dominar a língua, conhece bem a história e tem ótimas dicas de Praga. 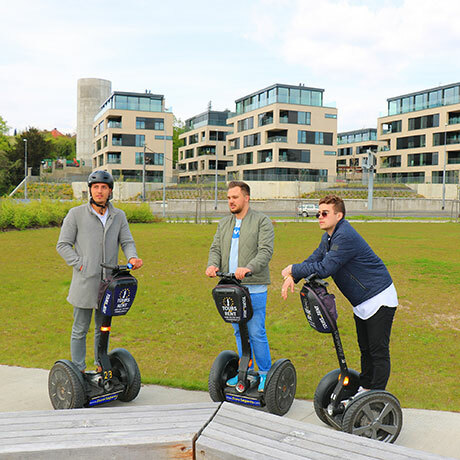 Starting on Hugo E-scooters you will discover the Old Town. 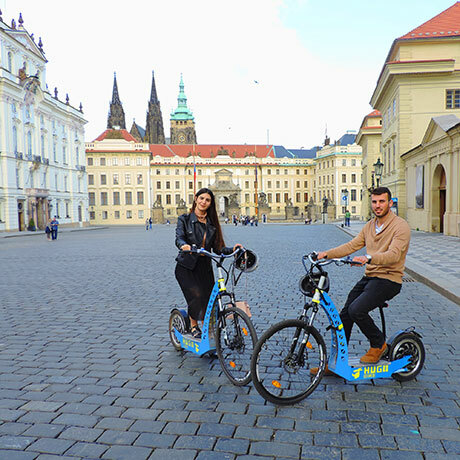 Drive to the oldest square of Prague, where the famous astronomical clock is. 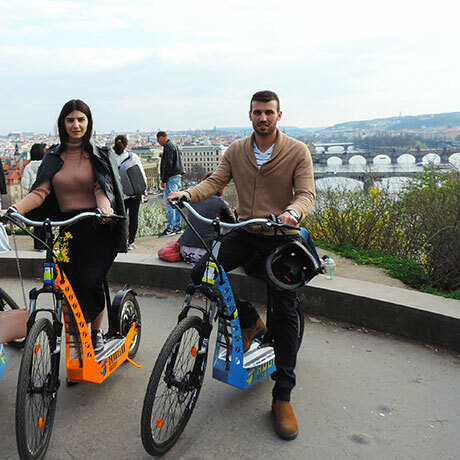 Pass through the number of churches and beautiful Baroque style buildings and reach the Jewish Quarter to see the oldest synagogue in the Central Europe. 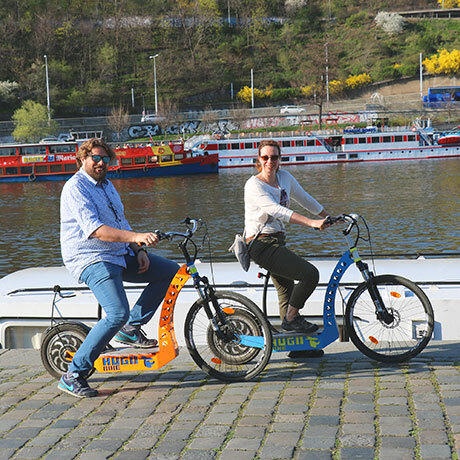 Take a drive along river and enter one of the biggest parks in Prague, make a stop there to enjoy the marvelous view over the whole city! 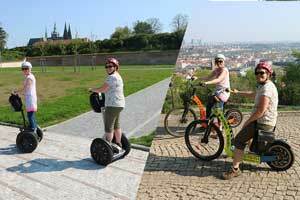 After these, take a drive to the oldest area of the city – Prague Castle. 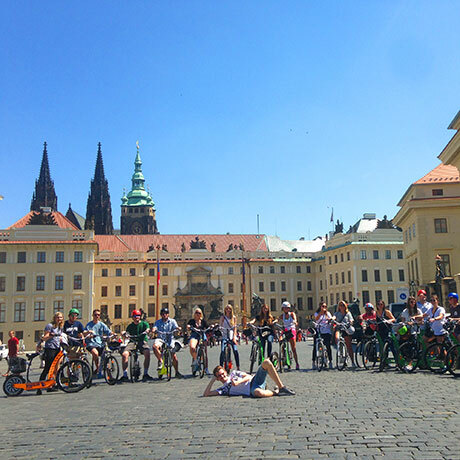 Enter the area of President Palace and take a walk nearby the powerful St.Vitus Cathedral. 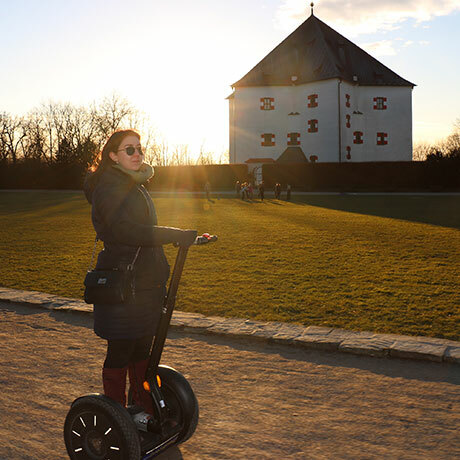 Swap Hugo E-scooter to Segway in and continue your tour to the 12th century monastery. 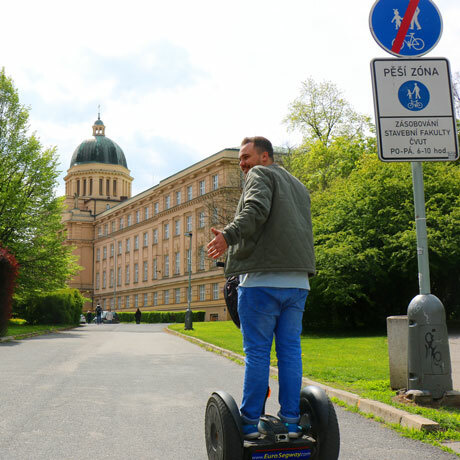 Enter the monastery and visit the old library, church and taste the best beer in the city. 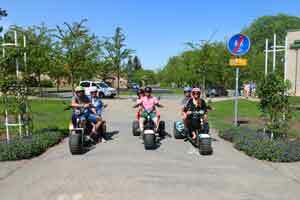 Drive to the area of old embassies and enter the post-war district, to get deep into the history of the WW2. 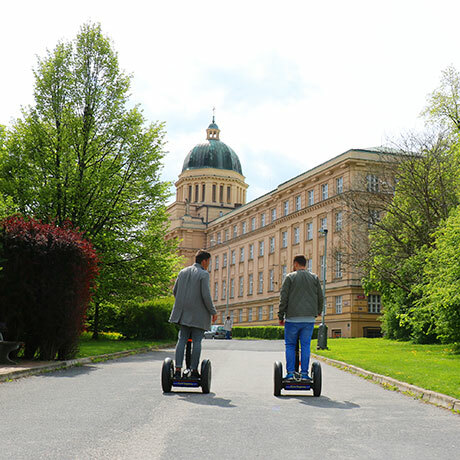 Pass through the number of statues and buildings, and reach the University campus, to see the faculties of the old Charles University. 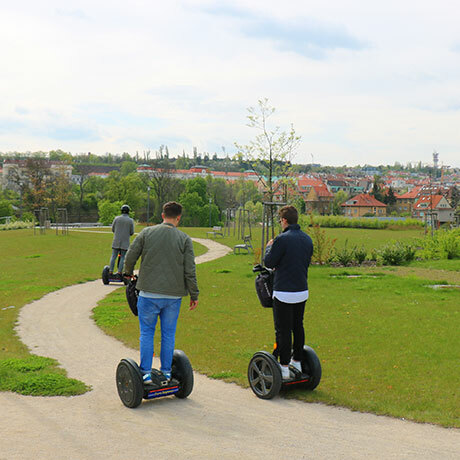 Further, drive to the park with the modern statues and enter one of the richest areas of the city, called Prague Beverly Hills.